WESTPORT—The smell of simmering slow-cooked barbecue and the soothing sounds of New Orleans jazz will fill the air for the ninth annual Blues, Views & BBQ Festival at the Levitt Pavilion on Sept. 3 and 4. Bob LeRose, owner of Bobby Q’s Bodacious BBQ & Grill, started the popular festival when he got involved with the Westport Downtown Merchants Association and wanted to bring some spirit to downtown. “I felt like if you’re going to be a member of downtown, you should take an active role in doing things. 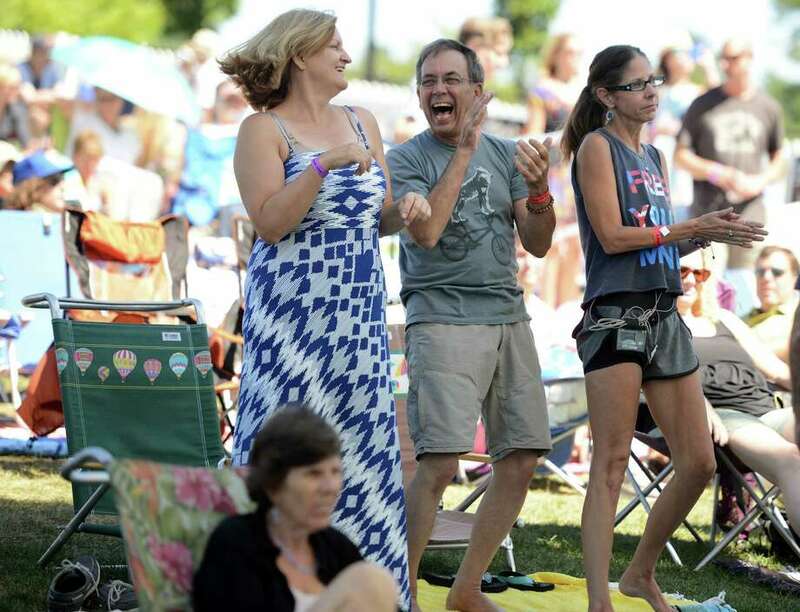 I thought bringing a music festival to downtown would be a great thing,” LeRose said. Although Bobby Q’s left downtown Westport in March after 11 years, LeRose continues to play an integral role in the festival. In addition to featuring about 19 hours of performances by accomplished artists like the Funky Meters, Anders Osborne and the Revivalists, the two-day affair provides families with a chance to experience music, two barbecue competitions, a number of food and drink options and games for children. When it comes to the jazz, Saturday will feature a mix of regional music, along with New Orleans-based artists. Guitarist, singer and songwriter Anders Osborne is looking forward to rocking the Levitt. LeRose said this year, the Sunday lineup will mix in a wider variety of music. David Shaw, lead vocalist for the New Orleans-based rock band The Revivalists, said people can expect a lively performance on Sunday. The festival will take place both days from 11 a.m. to 9 p.m.
“The festival is more than just the music. It has a ton to do for the kids. We have a bunch of interactive things that appeal to the kids, if you’re looking for more than just the music. If you want to just come and eat, you can do that,” LeRose said.